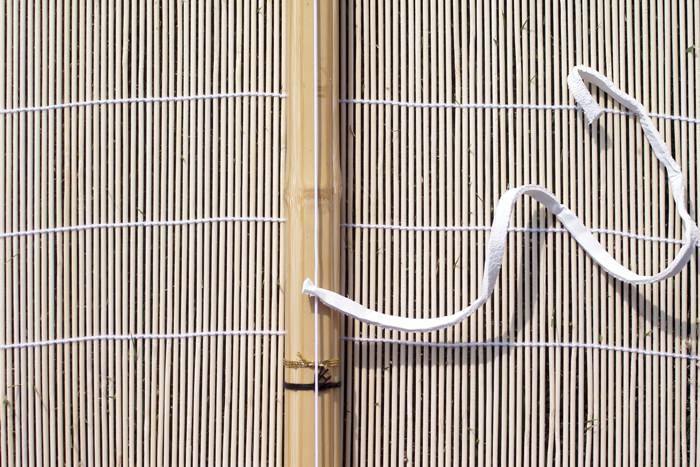 Fastening the Nakayui - Fastening the Nakayui - kendo-sport - Der kompetente Kendo-On­line­shop. 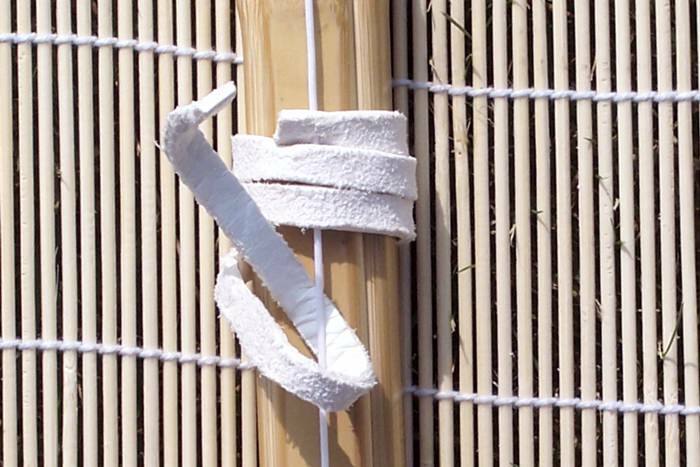 1.The Nakayui is tied into a knot so that it does not slip. 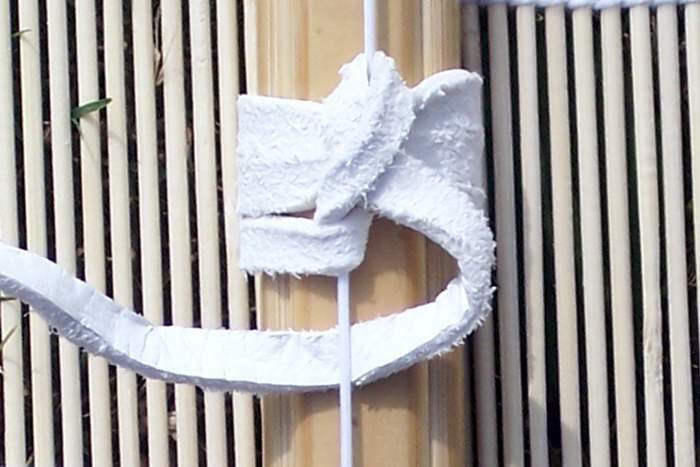 The right position for the Nakayui is at 1/3 the length of the Shinai, measured from the Kensen to the Tsuba. 2.Hold one end of the Nakayui securely on the Shinai with your thumb. 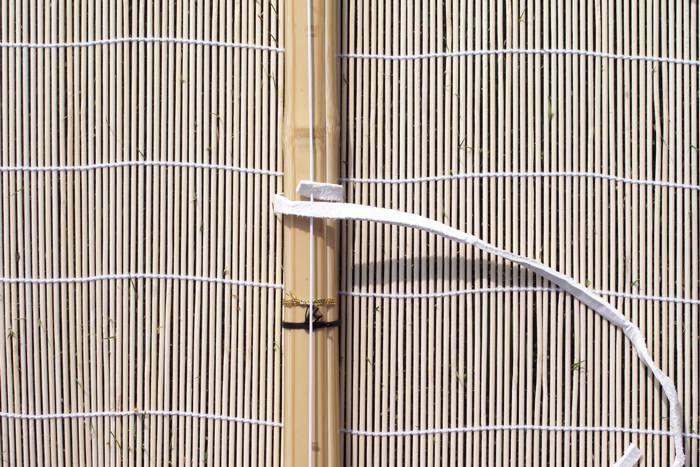 Tie the Nakayui tightly around the Shinai. 3.In all, the Shinai is to be tied three times. 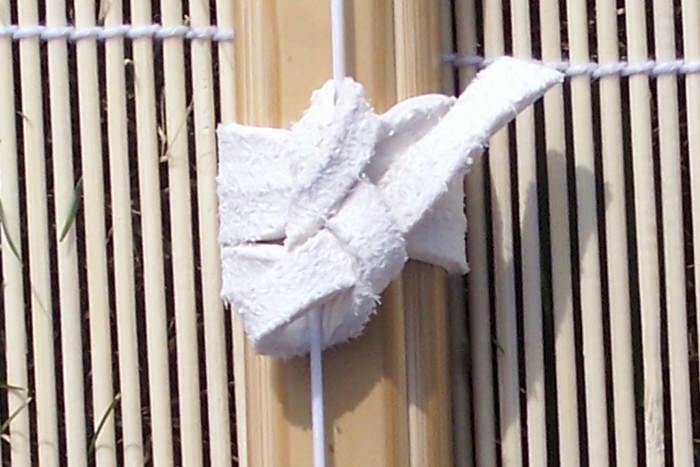 The third tie is placed with the loop around the Tsuru. 4. 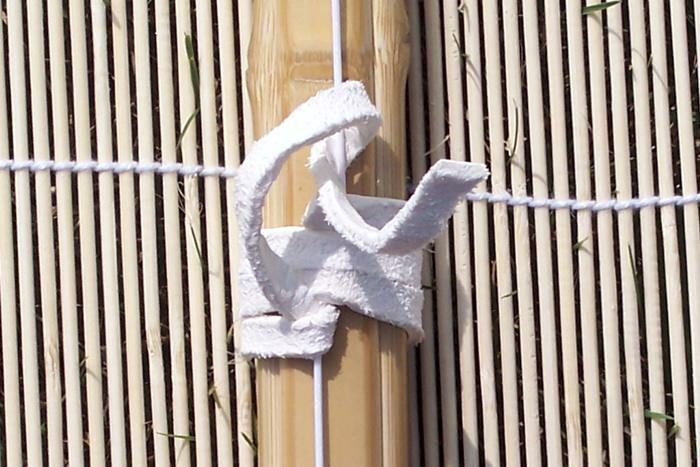 The Nakayui is to be pulled upward and strapped around the Tsuru with a loop. 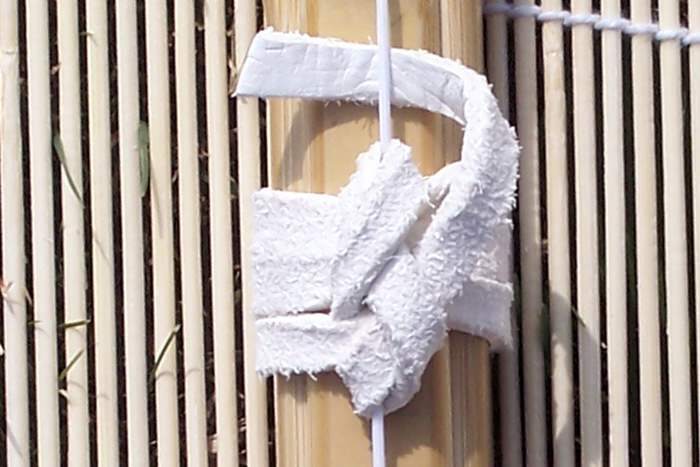 6.After a final loop at the top, the Tsuru is properly tied. The Nakayui must sit firmly enough that it cannot slip back and forth. 7.Tip:If too much leather is hanging after the fourth loop, then cut off the excess leather.